Home SC Life SC Life Features Game on! Elijah Turner, a senior quarterback at Seneca High School and grandson of a longtime employee of Blue Ridge Electric Cooperative, is one of five S.C. football players who will be in a new nationwide Touchstone Energy commercial. 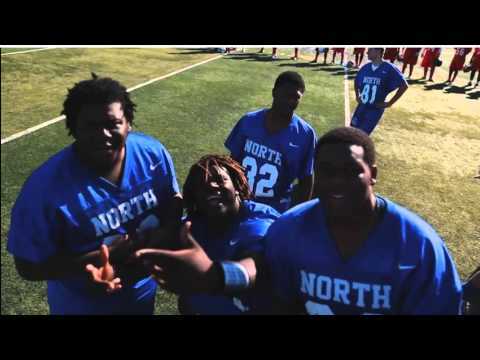 Scenes were shot during practices for the North-South bowl game. A number of scenes from this Touchstone Energy commercial were filmed at the Touchstone Energy Cooperatives Bowl in Myrtle Beach. The ad features Elijah Turner, a senior quarterback at Seneca High School. Elijah's grandfather, Wayne Turner, was a longtime employee of Blue Ridge Electric Cooperative headquartered in Pickens. 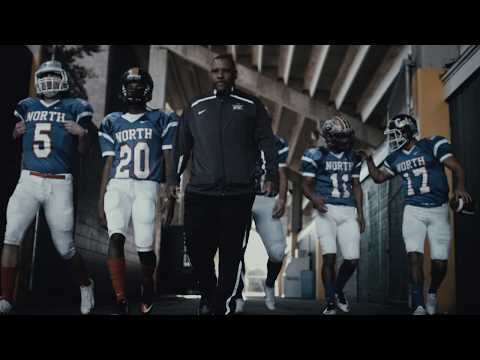 South Carolina high school football plays a starring role in a new Touchstone Energy commercial that will begin airing nationwide this month. Scenes for the new 30- and 60-second TV spots were shot at the Touchstone Energy Cooperatives Bowl in North Myrtle Beach in December. The commercial features five S.C. high school football players, most prominently Elijah Turner, a senior quarterback at Seneca High School. “Football is a lot of hard work and takes a well-oiled machine and a team of people working together, and that’s just like what Touchstone Energy does,” says Ruben Musca, creative director at Touchstone Energy. The ad cuts between images of cooperative linemen heading out to work and football players preparing for a big game, illustrating the effort and determination these groups of people have in common. “Every action that a lineman takes is mirrored by a football player doing something similar,” Musca says of the ad. The Touchstone Energy “On Tour” video crew originally came to South Carolina to shoot a mini-documentary on the co-op-sponsored all-star game, which includes a philanthropic toy drive for underprivileged kids that the players take part in before the game. While in state, Musca says, the crew decided to shoot additional footage for the commercial and recruited help from five S.C. football players, including Turner. “About halfway through the week, the commercial people came and asked if I would be involved in a commercial for Touchstone Energy,” Turner says. The crew captured Turner in a variety of shots—throwing and pitching a football, walking through the tunnel from the locker room, listening to the coach’s pregame pep talk and putting on equipment for the game. Turner’s father, Brett, the head football coach for Seneca High, says there is a family connection to the state’s cooperatives the Touchstone crew didn’t even know about until after shooting. Wayne Turner, who is Brett’s father and Elijah’s grandfather, was a longtime employee of Blue Ridge Electric Cooperative before retiring in 2002 as manager of operations. “That was kind of neat, because the co-op was a big part of our lives, because he worked there for so long,” Brett Turner says.